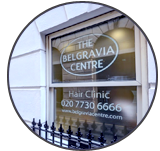 Belgravia Centre Hair Loss Blog > Blog > Hair Loss > Does Vitamin A Cause Hair Loss? There’s been a resurgence of interest in raw, natural and organic produce over the past few years and multi-vitamins have become many people’s easy route to health maintenance. People tend to assume that if something’s natural it’s not just good for you, it’s also safe. However, overdosing on various vitamins and minerals can be harmful. Too much vitamin A, for example, can cause hair loss. Although it is rare (most cases of hair loss are hereditary), there are instances where people’s hair growth is inhibited by too much vitamin A. You may have heard that a nutrient deficiency can lead to hair thinning, but you probably weren’t aware that very high doses of vitamin A in supplements and certain retinoid (vitamin-A-derived) drugs can cause hair loss. Accutaine, or Roaccutaine, is a medication used for the treatment of acne that lists hair loss as a side effect. Vitamin A is an essential nutrient for healthy cell and tissue development, including the hair, but too much can have detrimental effects. Because it is a fat-soluble vitamin, its stores can build up in the body and lead to an overdose. Excessive intake of vitamin A is associated with a number of complaints such as vomiting, dry skin, blurred vision and irritability, but it can have many more serious side effects. Prolonged overdose can lead to osteoporosis, internal organ damage (particularly the liver), and if an overdose occurs during pregnancy it may increase the risk of birth defects. If hair loss occurs as a result of too much vitamin A, stopping or drastically reducing your intake of the vitamin should be enough to reverse the problem. If there’s a genetic inclination to hair loss, it’s possible that this disturbance in hair growth could trigger an ongoing problem, even once nutrient levels have evened out. Clinically proven hair loss treatments that are licensed and individually prescribed should be able to control, stabilise and reverse some of these effects. To overdose on Vitamin A, experts say you’d have to consume around double your recommended daily intake. Current government-scientific guidelines advise limiting vitamin A to 10,000 IU daily, unless prescribed, but some say this amount varies depending on gender and whether or not the person is pregnant or lactating. You really should consult your doctor before taking any supplement. Many believe that the best way to avoid an overdose of vitamin A is by getting your entire intake through actual food, rather than supplements which are often chemically processed and not completely absorbed into the system. Red, yellow, orange, and dark green vegetables are good sources of vitamin A, as are eggs, liver and fortified milk and cereals.